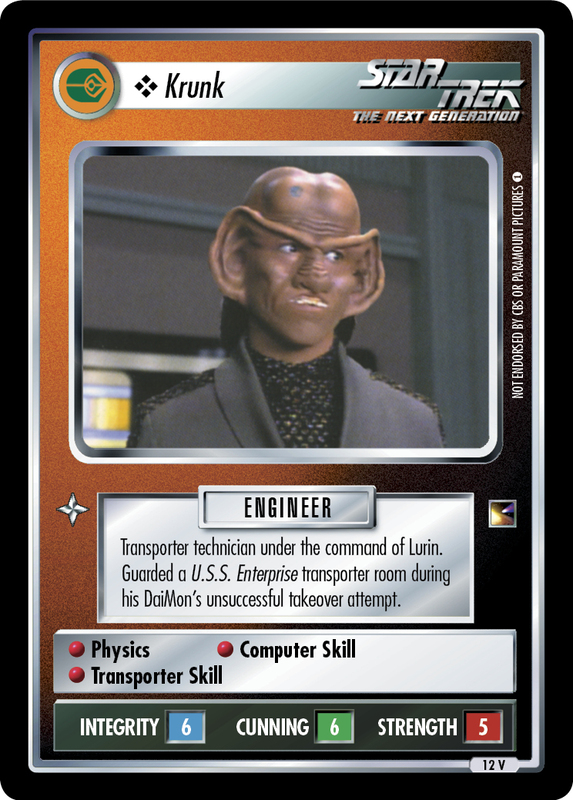 Transporter technician under the command of Lurin. Guarded a U.S.S. Enterprise transporter room during his DaiMon's unsuccessful takeover attempt.